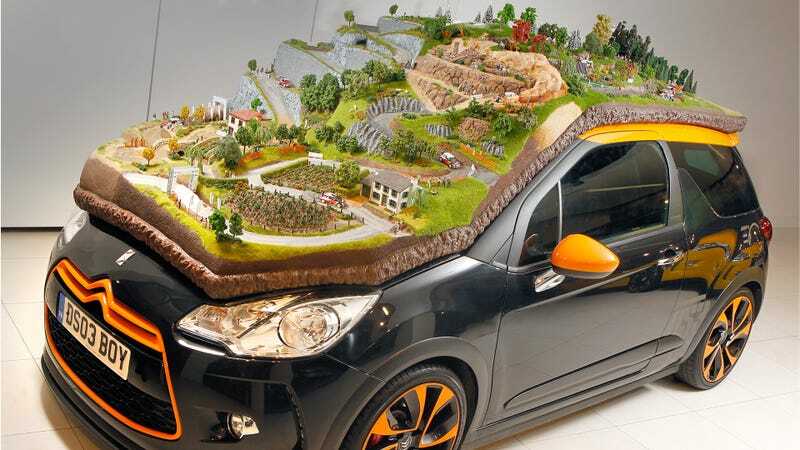 What you see here is not a cake, but rather a nine-part diorama on top of a DS3 celebrating Sébastien Loeb and Daniel Elena’s unrivaled nine FIA World Rally Championship titles with Citroën. Showcasing nine different rally terrains for each win, it features a 1:43 scale model of one of the duo’s championship-winning cars, dating back to 2004 and the Citroën Xsara. Designed and built by Kieron Barter of Funky Lemon Design, the model took two months to complete, with the most challenging part being getting the mould for the DS3 according to the team. Having been revealed at the Society of Motor Manufacturers and Traders, the diorama will go on a dealer tour in Great Britain. Sébastien and Daniel would certainly approve.